In Pursuit of Silence's technical mastery overcomes its overuse of interview commentary to illustrate silence's numerous edifying properties. It is nearly impossible to walk down a city street or ride a subway without being overwhelmed by a cacophonous flood of digital music, plasma screens, and aggressive cell phone chatter. For some, these aspects are signs of excitement and power. But for director Patrick Shen, this restless energy stymies a more enriching and healthier state of existence which can only be accomplished in markedly quieter environments. Shen’s new documentary, In Pursuit of Silence, makes an illustrative but somewhat convoluted attempt at conveying this point. In Pursuit of Silence’s footage is consistently beautiful and purposeful. This is particularly so for the film’s first few minutes, free of any dialogue, where Shen lets long-takes of vivid, well-composed imagery convey tranquility’s many splendors. A protracted wide shot of a winding forest path in Carver Park, Minnesota -- quiet, save for the melodic tune of brown leaves rustling in the wind -- provides peaceful escapement. A still grass field in Iowa under a cloudless, deep blue sky looks like a rich painting; an ode to nature's rich colors. Every so often, Shen mixes into his sequence of nature images surprising takes on more modern devices. In one inspired scene, an empty roadside gas station in the pitch-black night gives the sense that even structures not normally associated with enriching thought can engender a meditative response when basked in quietude. 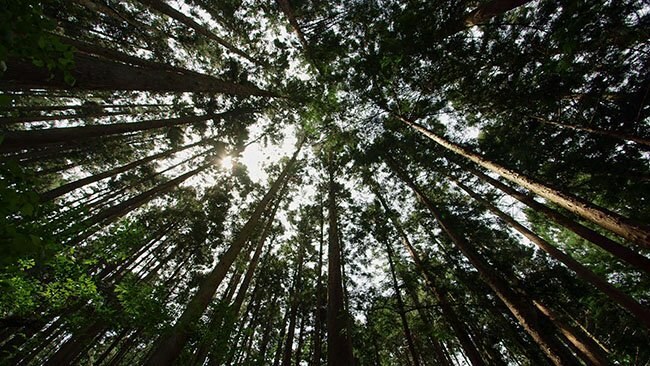 Throughout In Pursuit of Silence, lifestyle choices are effectively challenged through crisp contrasts between footage of quiet sanctuaries and urban sprawl. A scene of monks walking down a monastery’s long, columnar halls -- split between darkness and splashes of natural light cascading from its windows -- captures walking as a simple, ruminative act. Contrarily, Shen captures the modern metropolis as an overbearingly loud, fragmented digital castle which give walking a nasty- treadmill-torture kind of feel. Of course, this conflicting imagery is polarized, and Shen's heart is clearly on the quieter end of things. But when In Pursuit of Silence simply portrays these images, it avoids being preachy, allowing for audiences' active eyes and ears to make the final judgment on the importance of serenity. 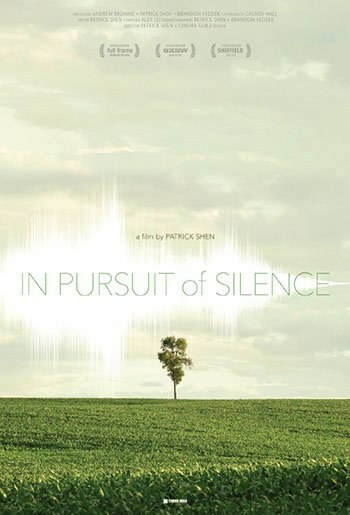 It's ironic then that In Pursuit of Silence overly relies on typical explanatory voiceovers and interruptive interview segments to advance its argument on silence’s virtuous properties. All too often, scenes which commence with an organic portrayal of relationships between sound and environment -- be it a lush, relaxing tea garden ceremony or the blaring streets of Mumbai -- are rudely interrupted by redundant explanations. To be clear, this is not a knock against the interview subjects themselves. They are universally eloquent, offering informative takes on the virtues of natural tranquility, and waxing darkly poetic about the dangers of modern technology. (“There is such an intensely, overwhelming drive to contribute our little ricocheting response to the soul crushing in of the moment.”) Indeed, enjoying silence does not necessitate muteness. However, quantity of words does affect this pursuit, and Shen overly employs commentary which detracts from a continuous, reflective immersion into his already deeply detailed footage. When Shen does employ dialogue effectively, it's from a lived-in, relational perspective. In one such scene, Shen has a child speak into a camera in a public school classroom located just a few feet away from a subway station; she talks about how it's hard to concentrate on her work with trains constantly passing on by. For anyone who is a parent, or who simply cares about the state of public education in urban cities, this scene -- as opposed to those in insulated laboratories or academic settings -- is of the sort which can emotionally propel activism, or at least a small change in lifestyle choices. In Pursuit of Silence is a wonderfully shot film and one which is best experienced on a big screen where its images’ composition and acute sound mixing can be fully appreciated. However, for all the filmmakers' accomplished technical work, In Pursuit of Silence does not consistently heed to its own message on how quiet observation is more enriching than over-explanation.